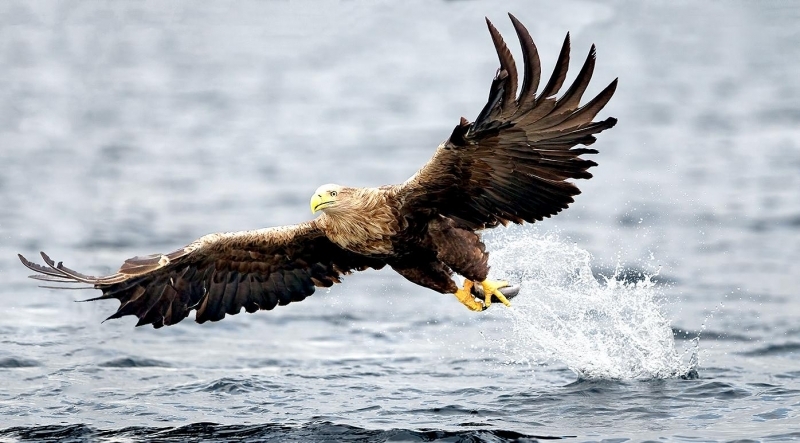 The White-tailed Sea Eagle measures up to 0.94 meters in length with a wingspan of up to 2.45 meters (8 feet) which is the largest wingspan of any eagle and is the 4th heaviest & 4th largest eagle in the world, with the largest known specimen weighing approximately 17 pounds. 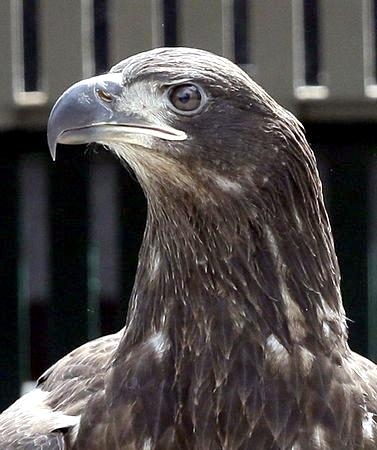 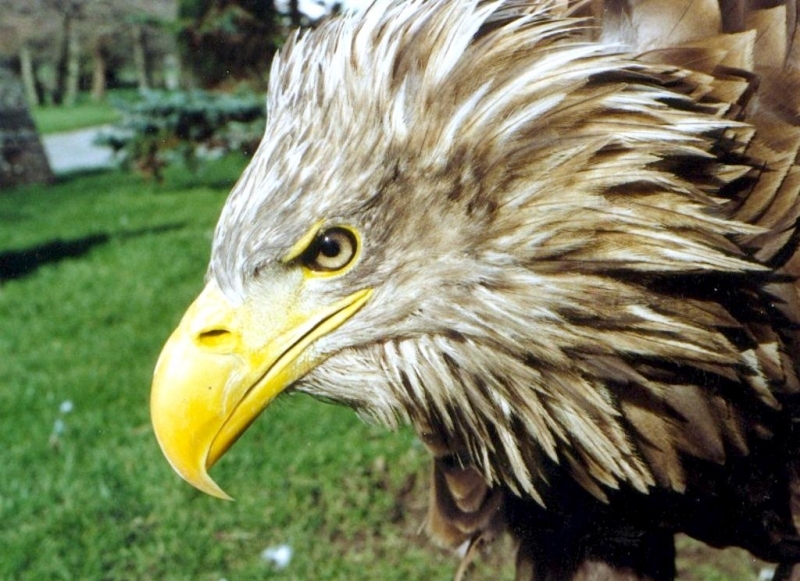 The White-tailed Sea Eagle has broad “barn door” wings, a large head and a large thick beak. 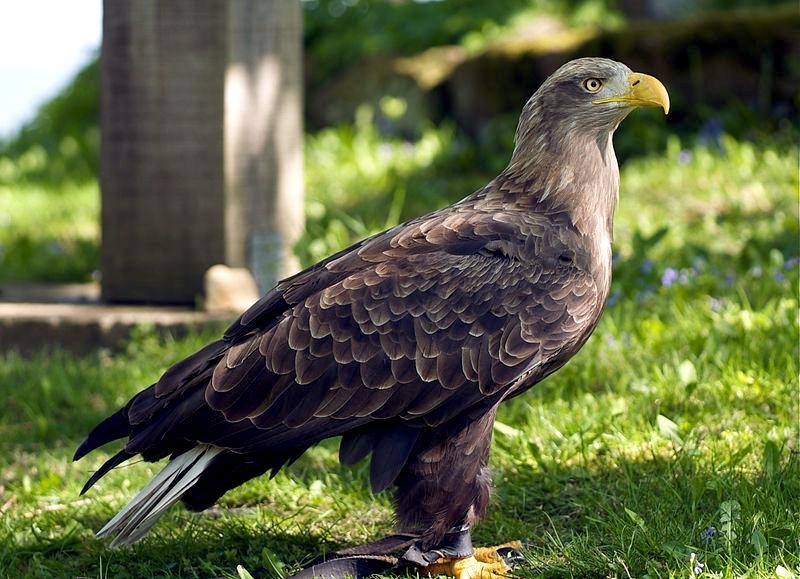 The adult is mainly grayish-brown except for the slightly paler head & neck, blackish flight feathers and distinctive white tail. 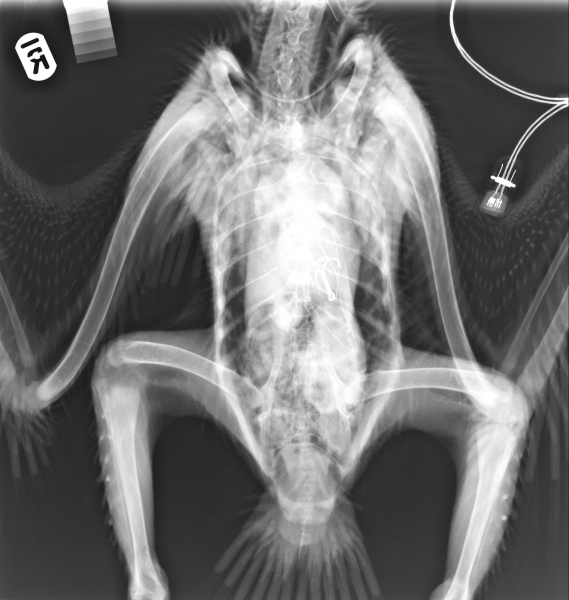 All bare parts are yellow in color, including both the bill and the legs. 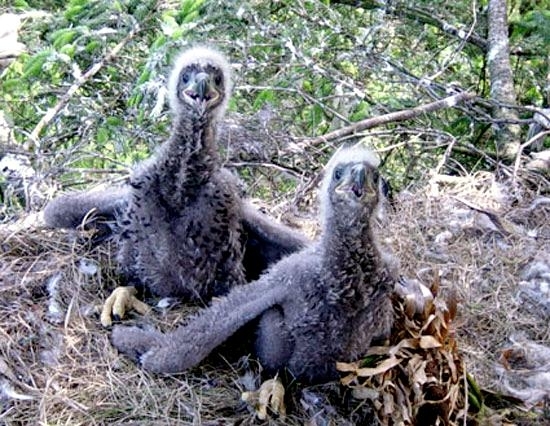 In juvenile birds, the tail and bill are darker, with the tail becoming white with a dark terminal band in sub-adults. 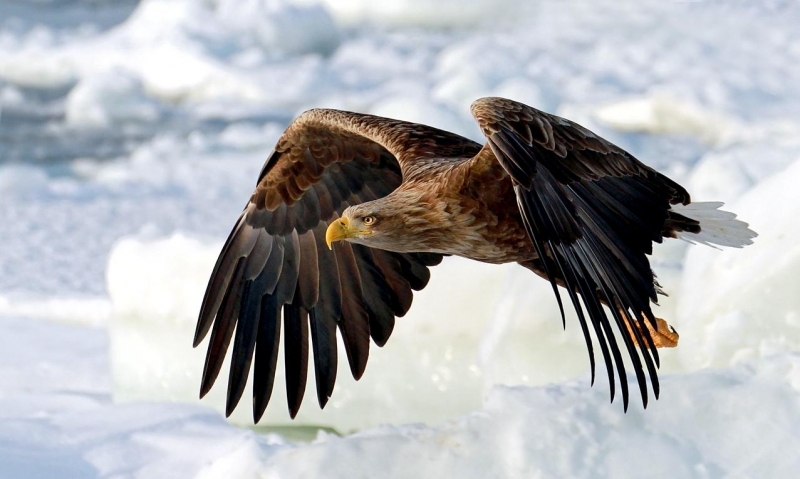 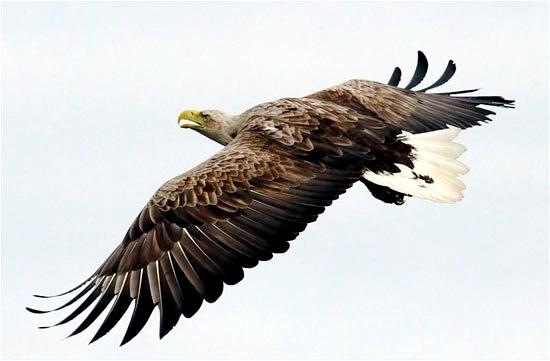 The combination of mousy-brown coloration, broad, evenly-held wings, white tail, strong yellow bill and overall large size render the White-tailed Sea Eagle essentially unmistakable in its native range. 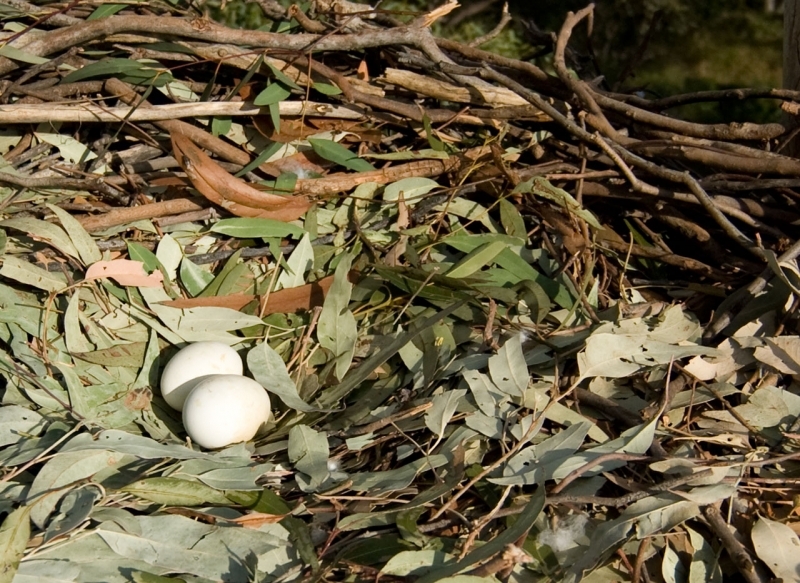 Some individuals have been found to live over 25 years, 21 years being the average. 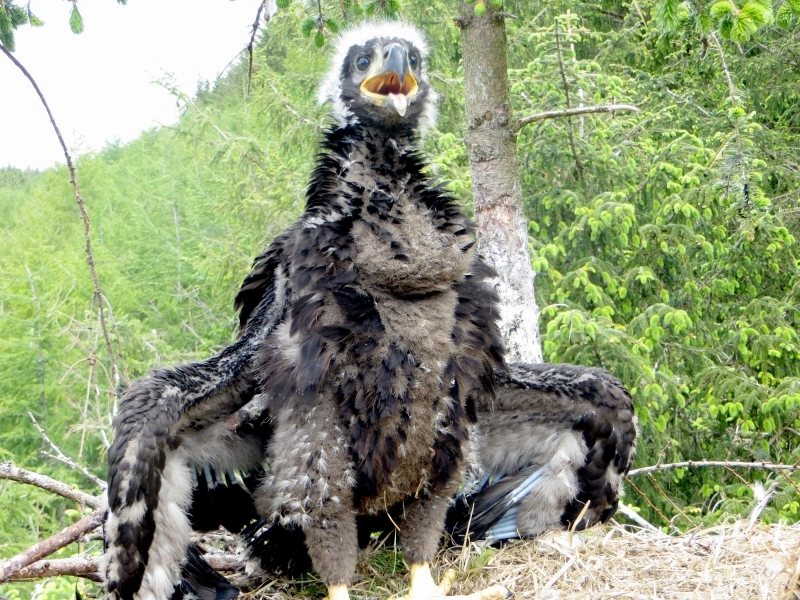 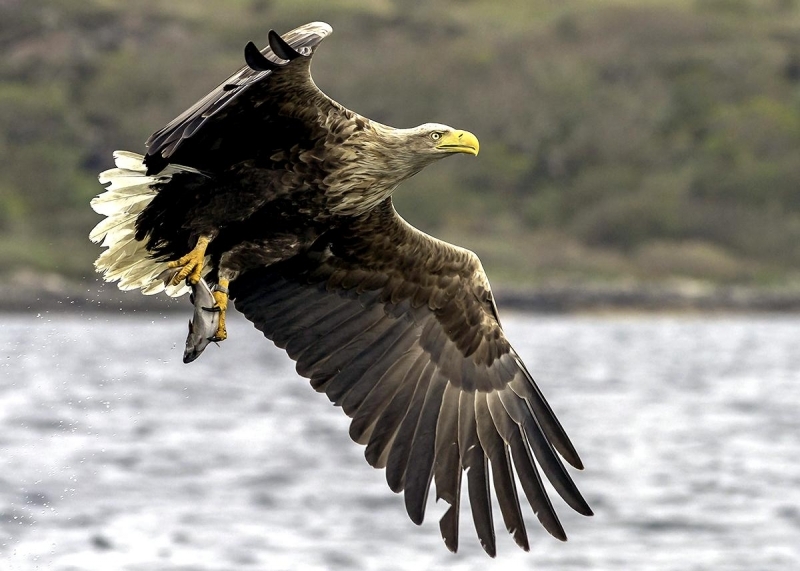 The White-tailed Sea Eagle’s diet is varied, opportunistic and seasonal. 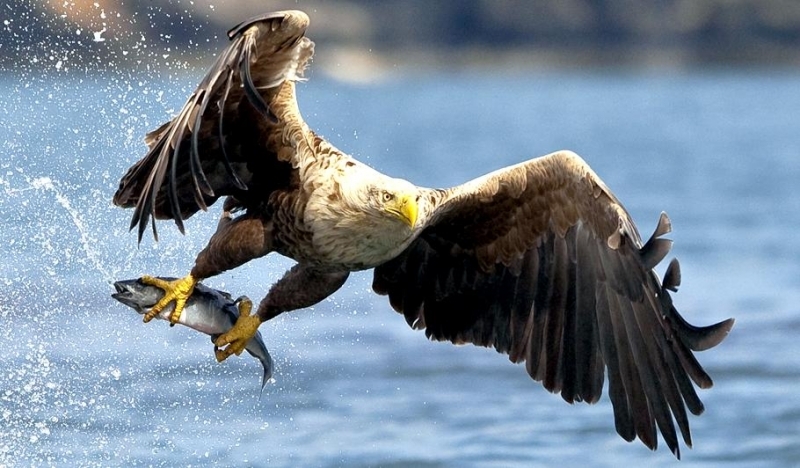 Prey can often include fish, birds and mammals. 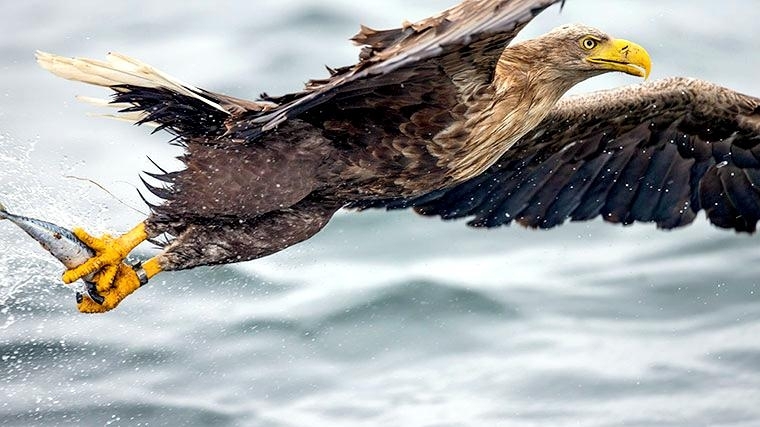 Many live largely as scavengers, regularly pirating food from sea otters & seabirds including cormorants, gulls, ospreys and various other birds of prey. 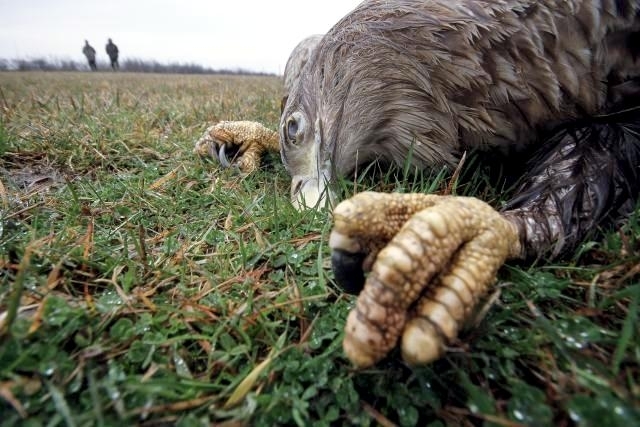 Carrion (flesh of deceased animals) is often the primary food source during lean winter months, with fish and ungulates being preferred but everything from marine mammals to livestock to even humans being eaten after death. 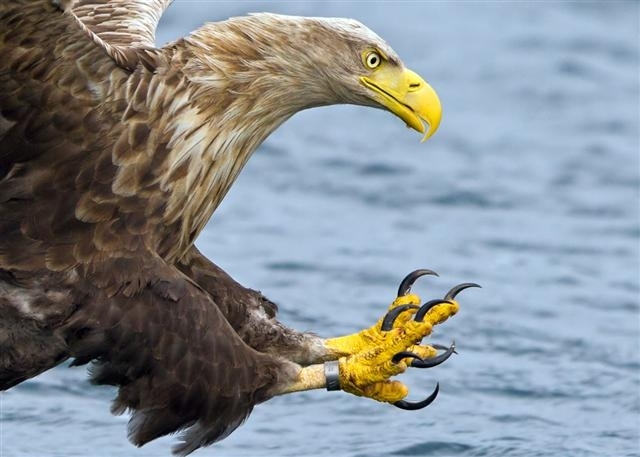 However, this eagle can be a powerful hunter as well. 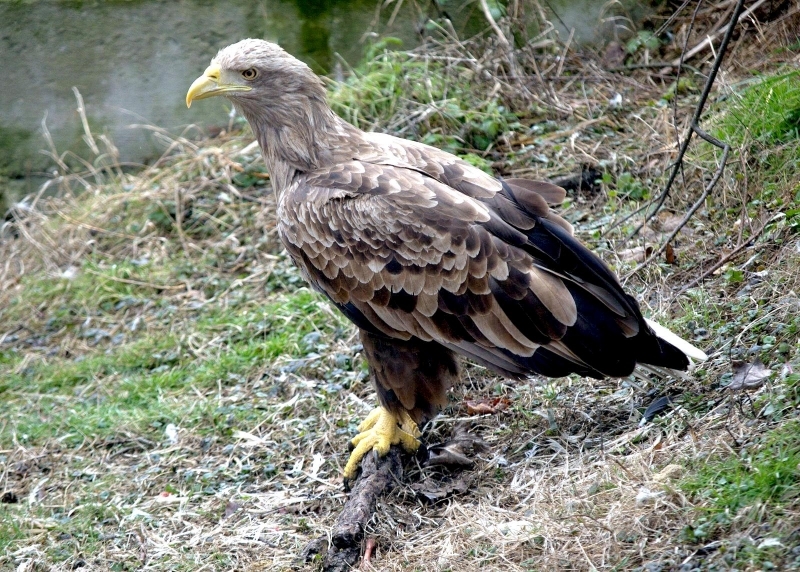 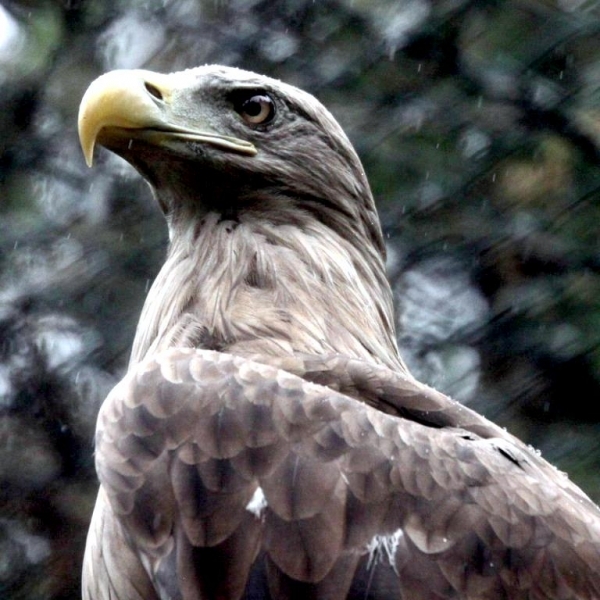 The daily food requirement for a White-tailed Sea Eagle is in range of 500–600 grams. 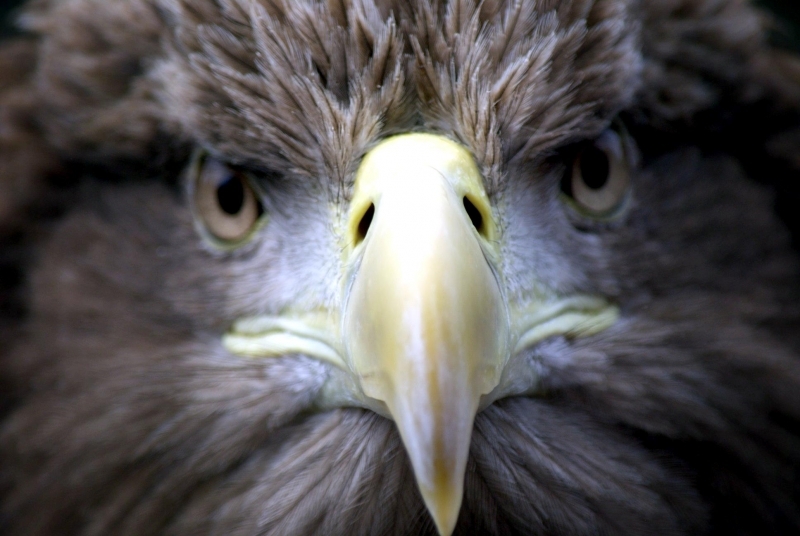 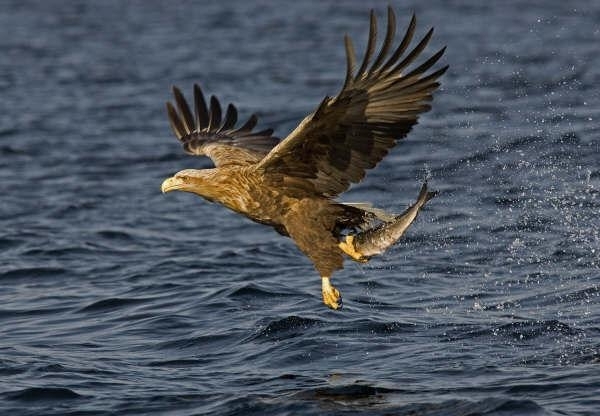 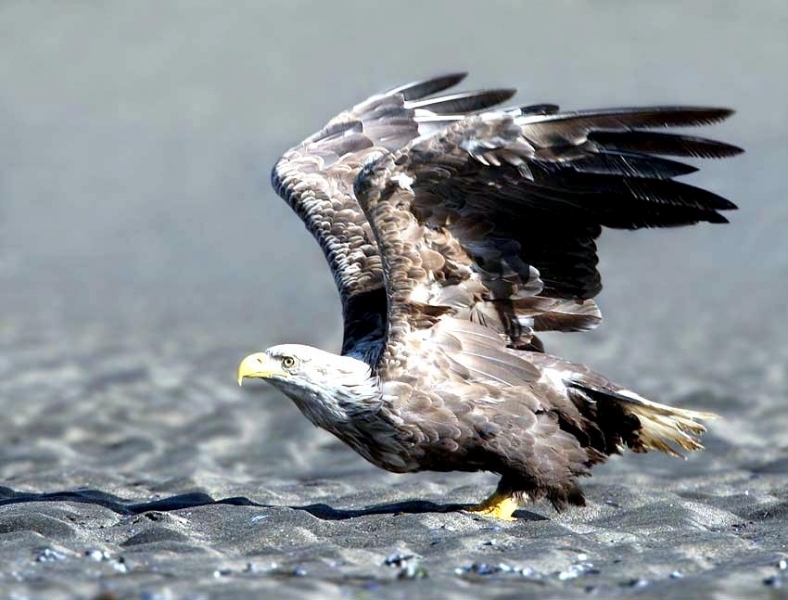 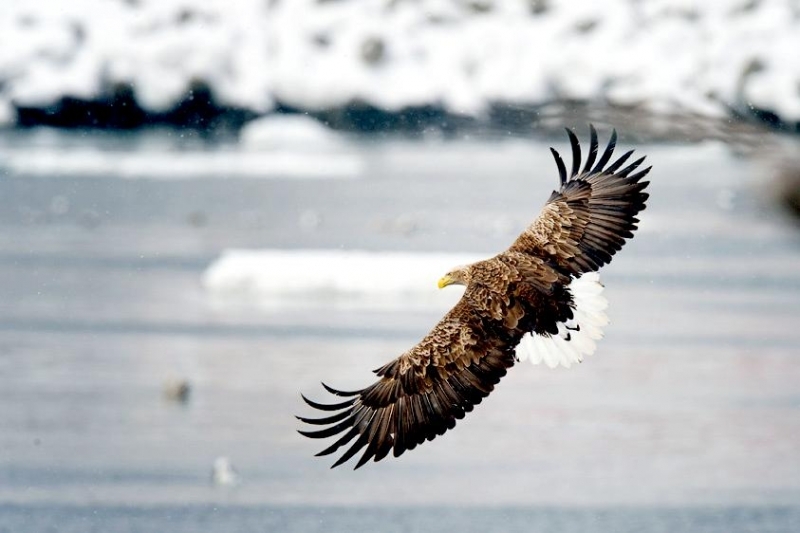 Virtually any fish found near the surface is potential prey for the White-tailed Sea Eagle. 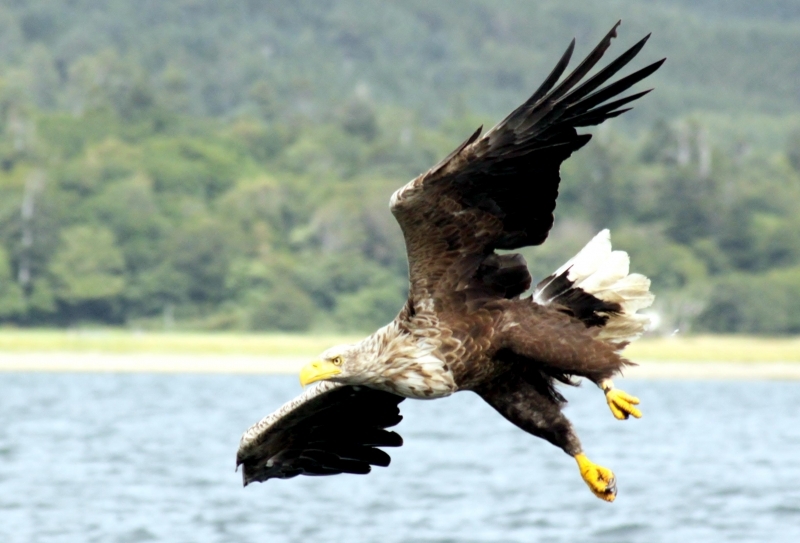 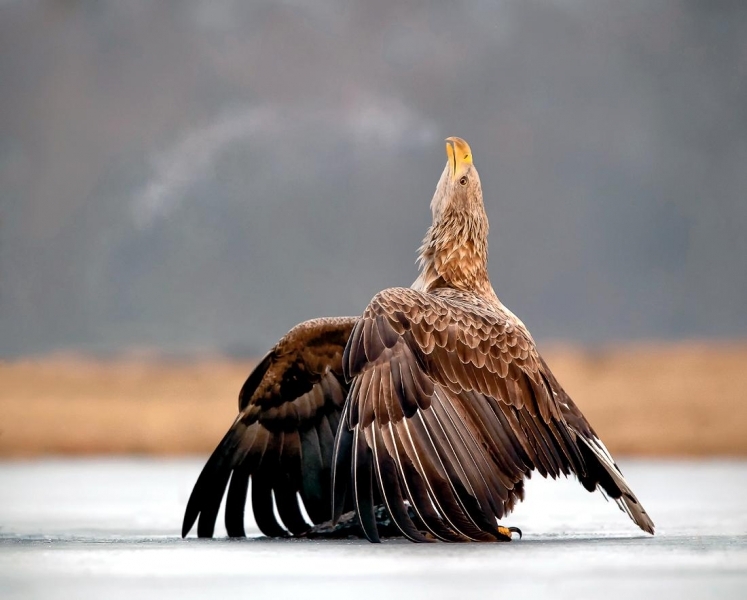 Commercial fisheries and carp ponds are readily exploited by the White-tailed Sea Eagles when available. 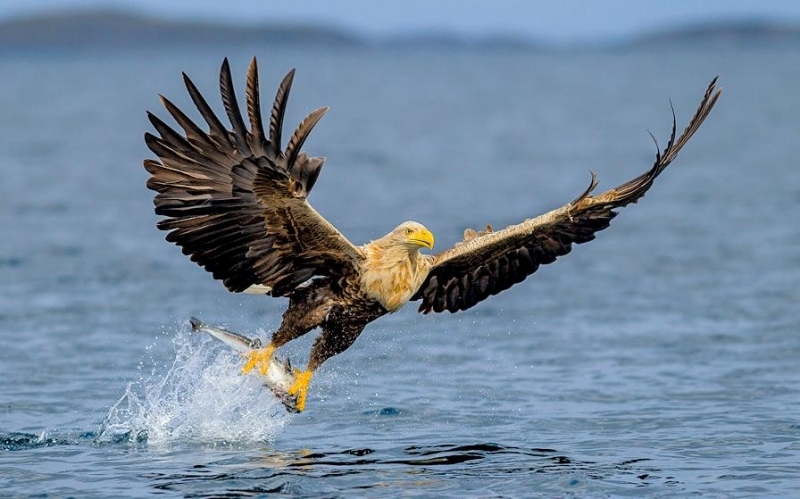 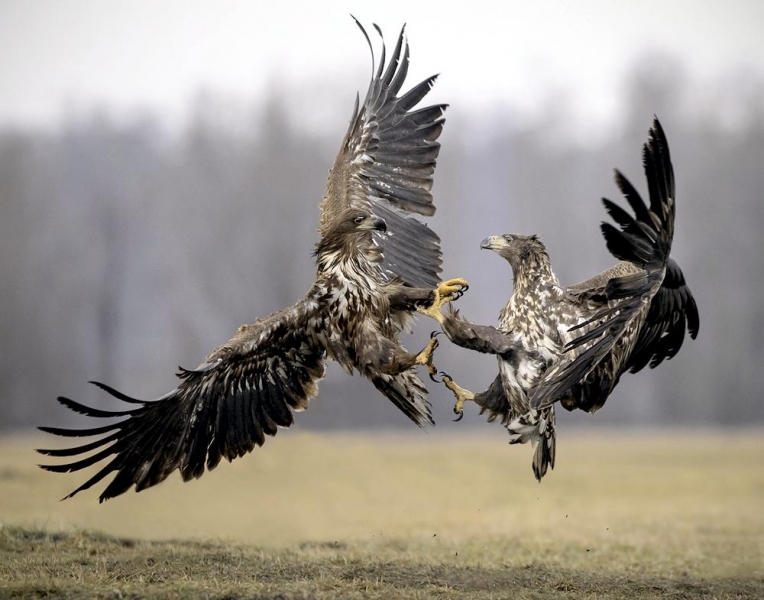 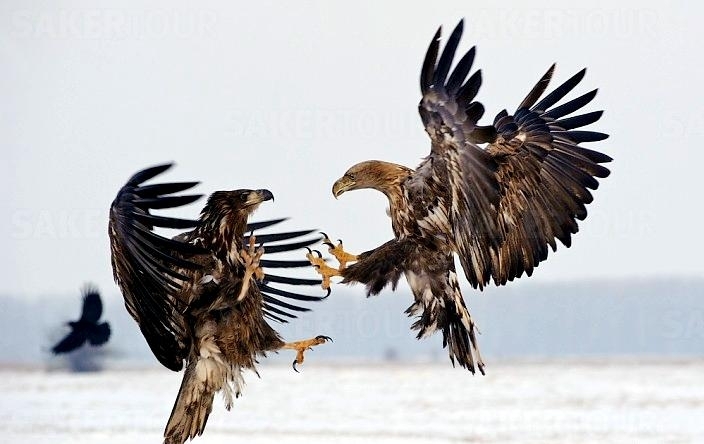 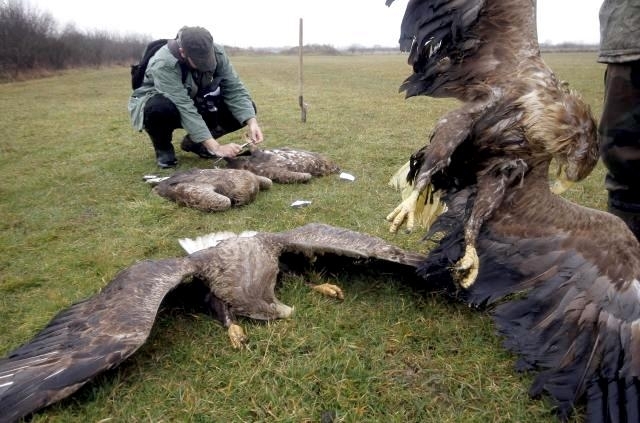 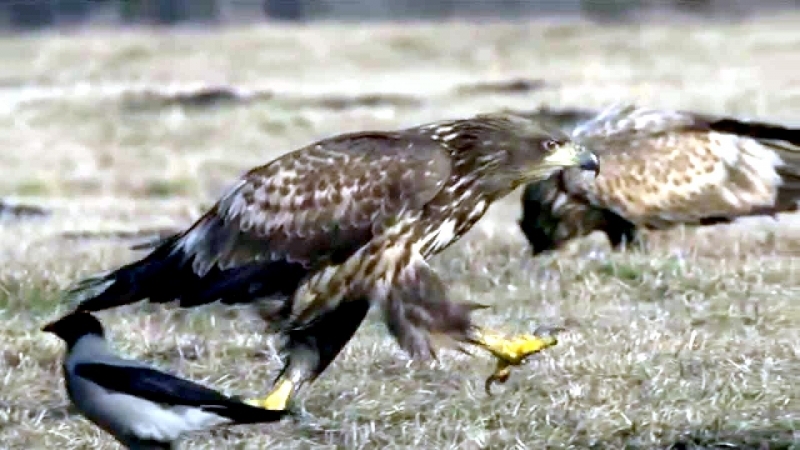 Although they occasionally kill and harass some land birds, White-tailed Sea Eagles usually target water-based birds as prey including loons, grebes, ducks, coots, auks, gulls, geese and even swans have been preyed upon. 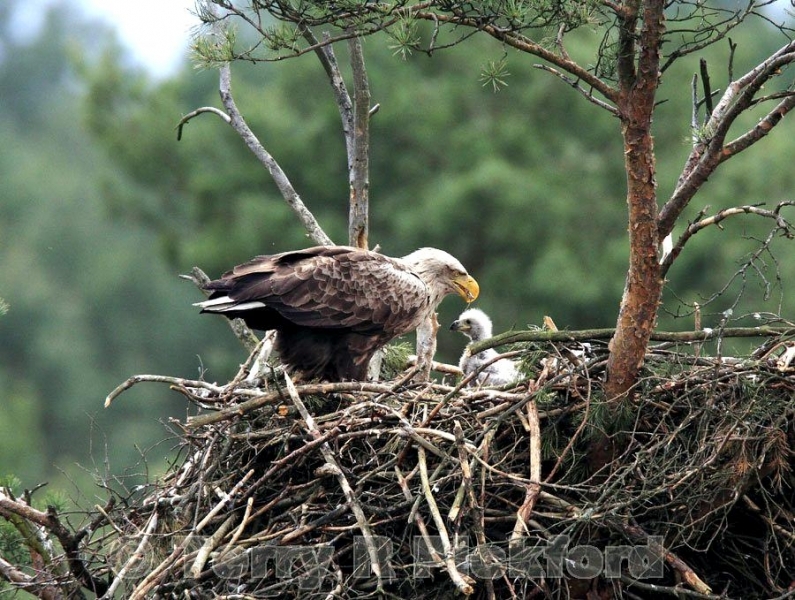 Adults, nestlings and eggs of other birds are all regularly consumed. 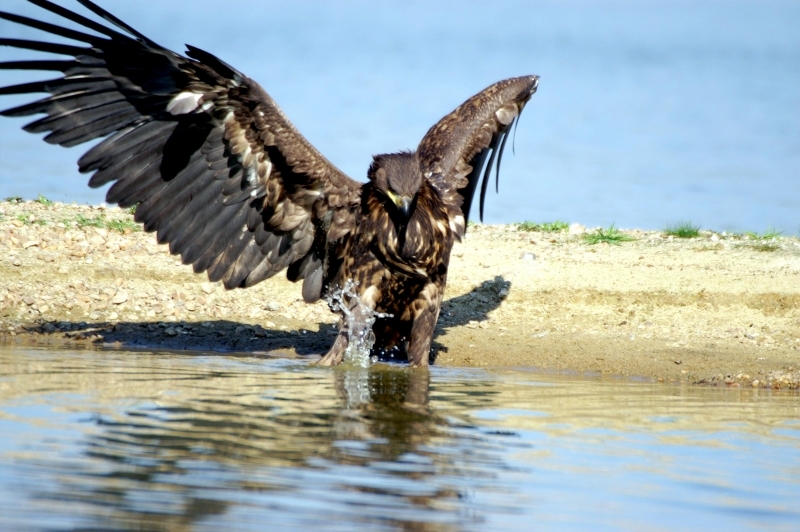 When targeting non-nesting birds, they often fly towards a waterbird repeatedly, forcing it to dive again & again until the bird is exhausted and more easily caught. 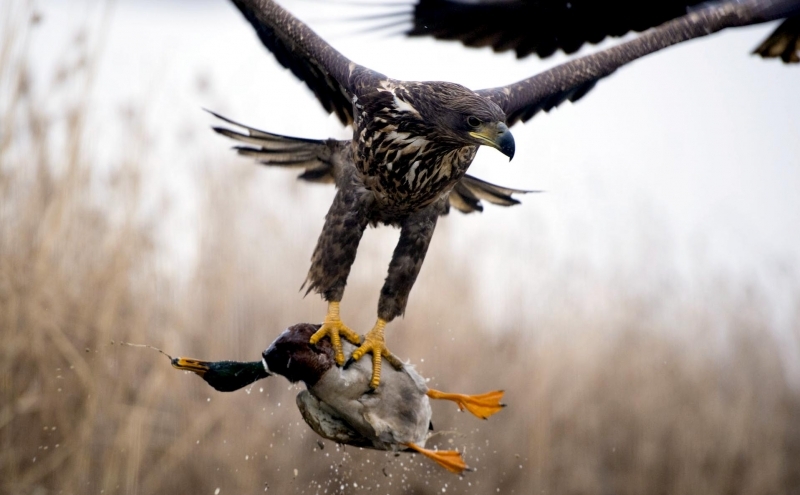 When very large prey is killed such as swans, the prey may be dragged along the surface of the water to the shore to be consumed. 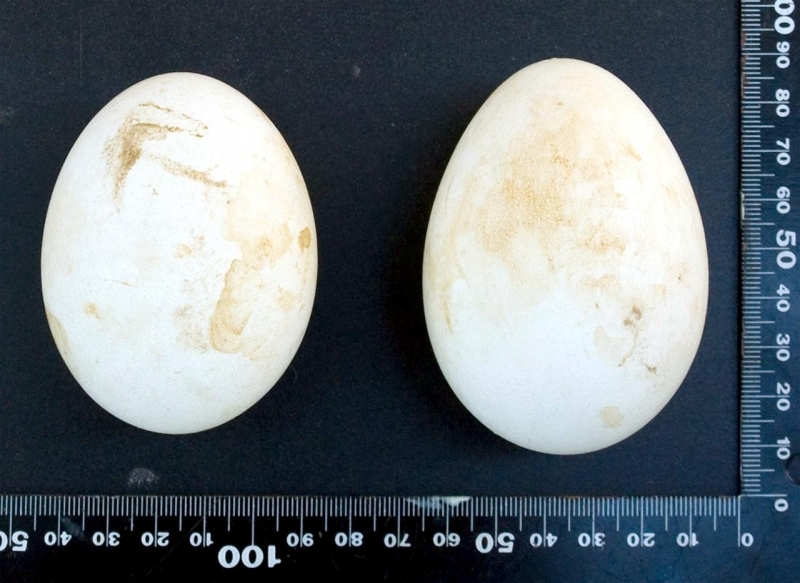 Live mammals consumed have ranged in size from voles to lambs and deer calves. 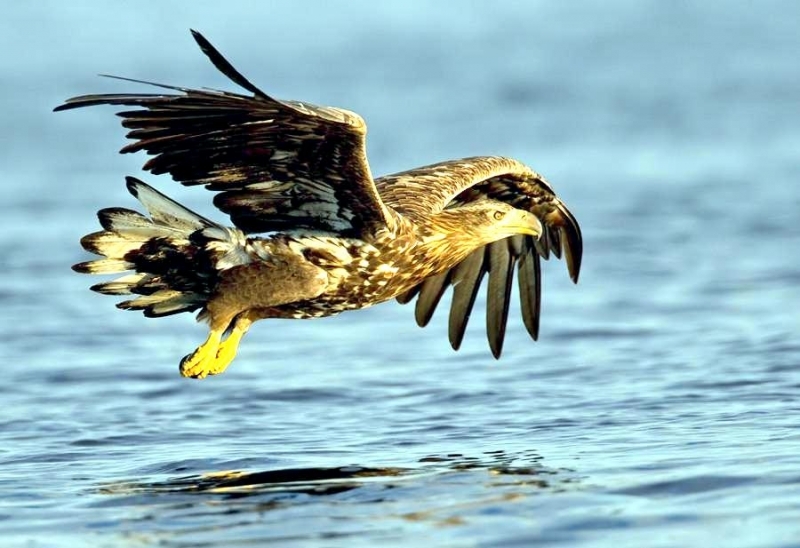 White-tailed Sea Eagles are sexually mature at 4 or 5 years of age. 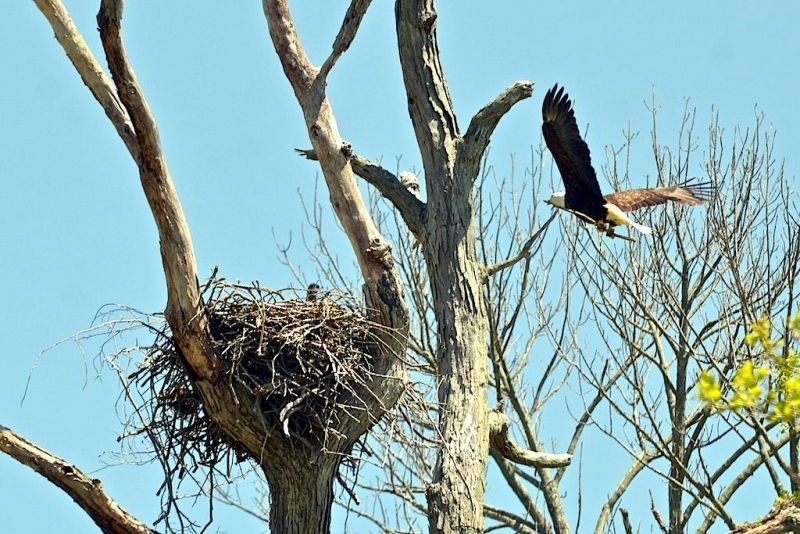 They pair for life, though if one dies replacement can occur quickly. 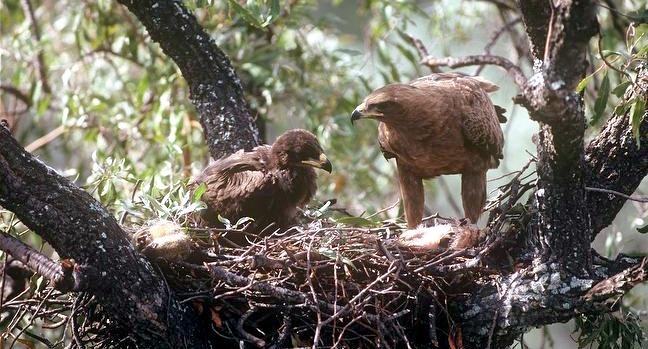 A bond is formed when a permanent home range is chosen. 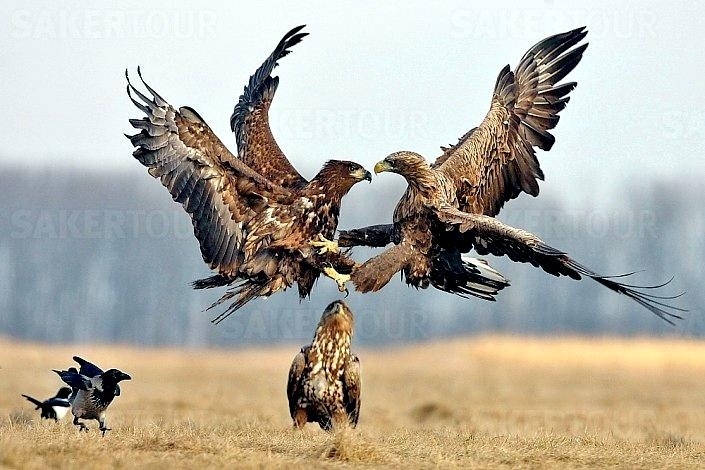 They have a characteristic aerial courtship display which culminates in the pair locking talons mid-air & whirling earthwards in a series of spectacular cartwheels. 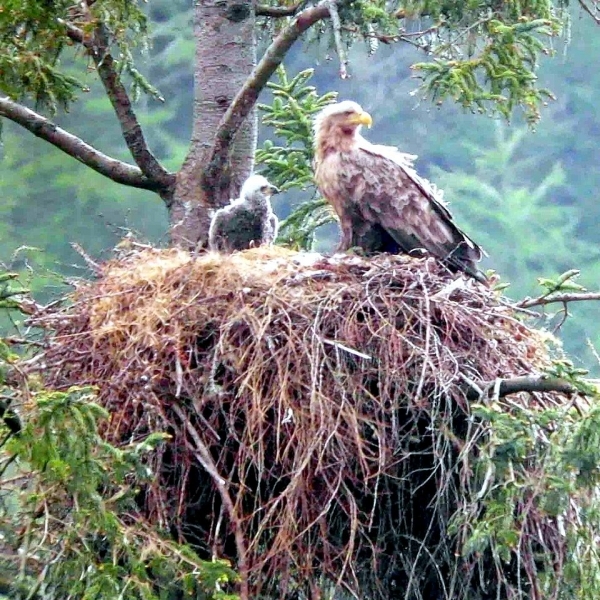 White-tailed Sea Eagles are much more vocal particularly during the breeding season and especially the male when near the nest. 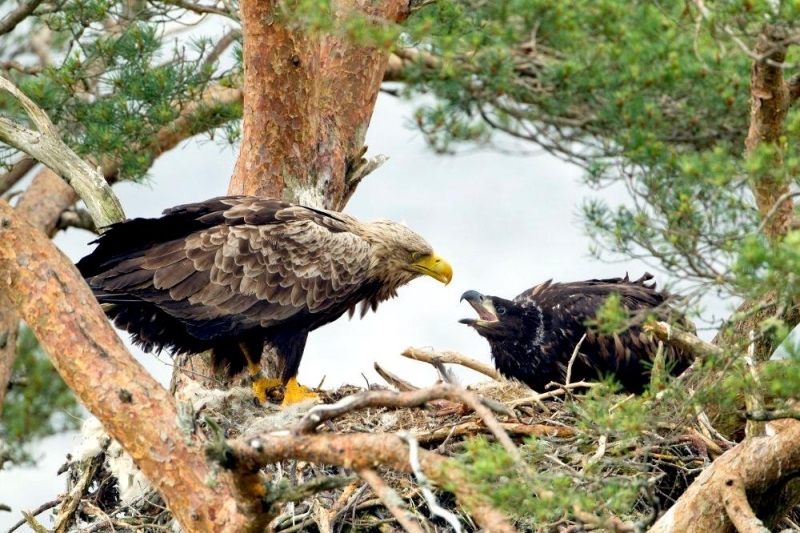 Calls can sometimes take on the form of a duet between the pair. 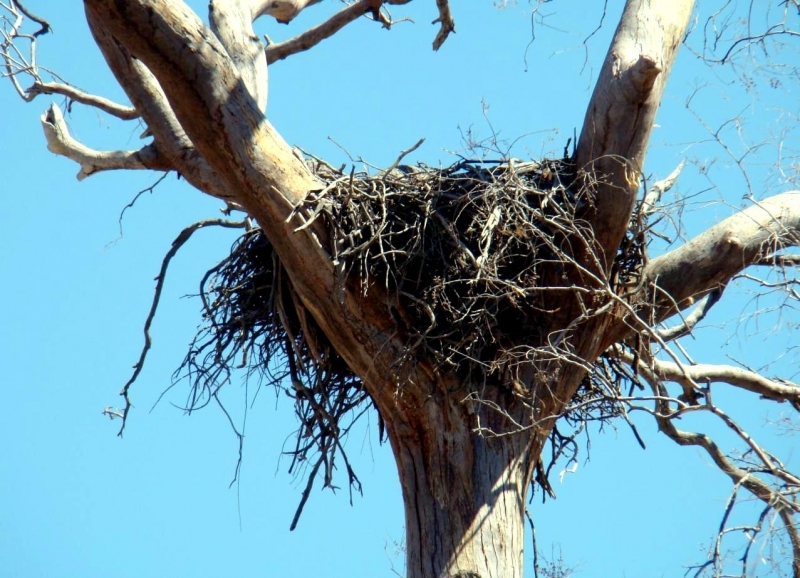 The nest is a huge edifice of sticks in a tree or on a coastal cliff. 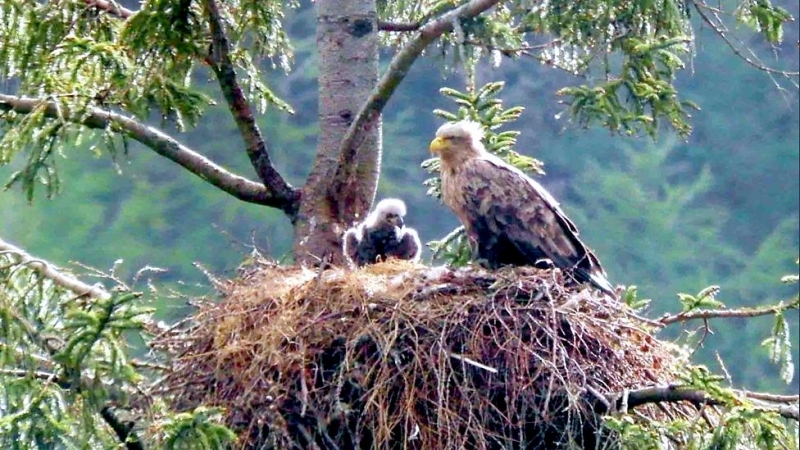 Being faithful to their territories once they breed, nests are often reused, sometimes for decades by successive generations of birds; one nest in Iceland has been in use for over 150 years. 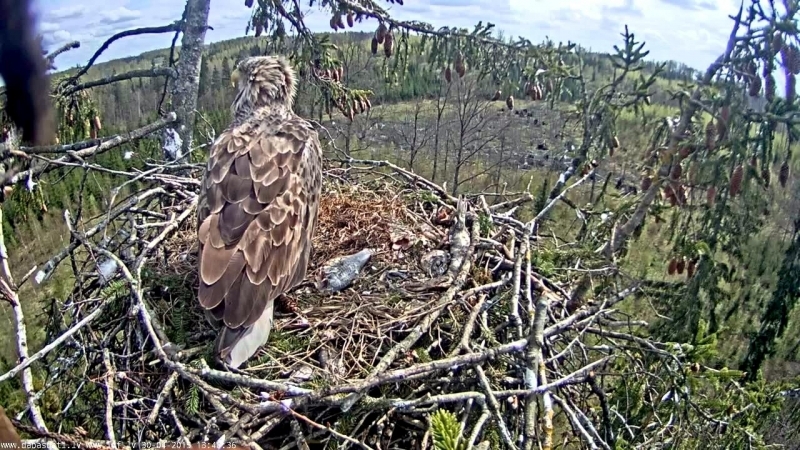 In Scandinavia, trees have been known to collapse under the weight of enormous, long established nests. 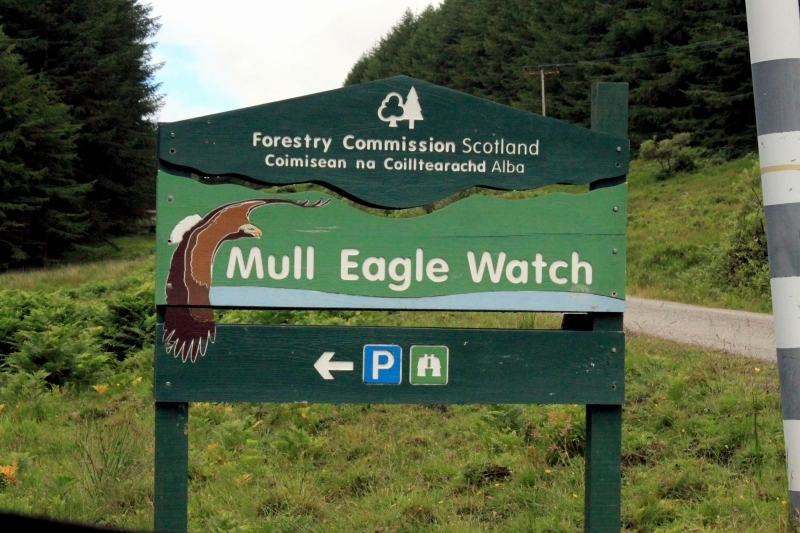 The territory of the White-tailed Sea Eagle ranges between 30 and 70 kilometers, normally in sheltered coastal locations. 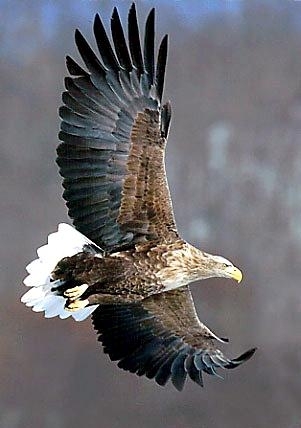 Sometimes they are found inland by lakes and along rivers. 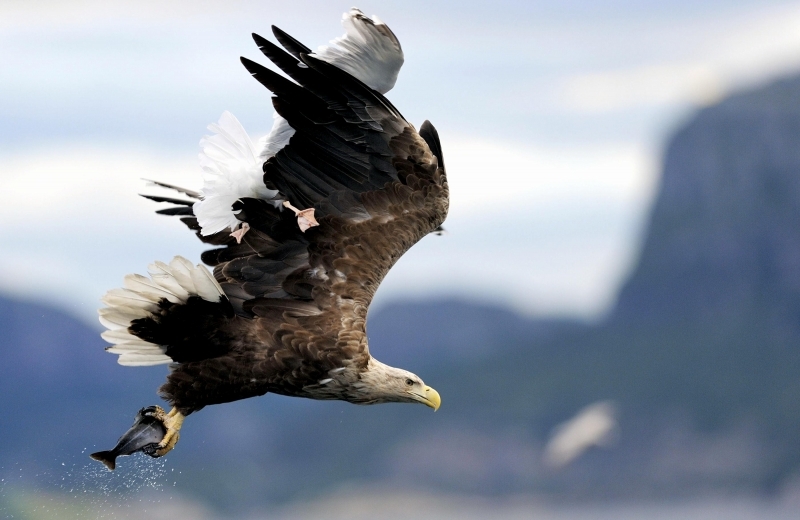 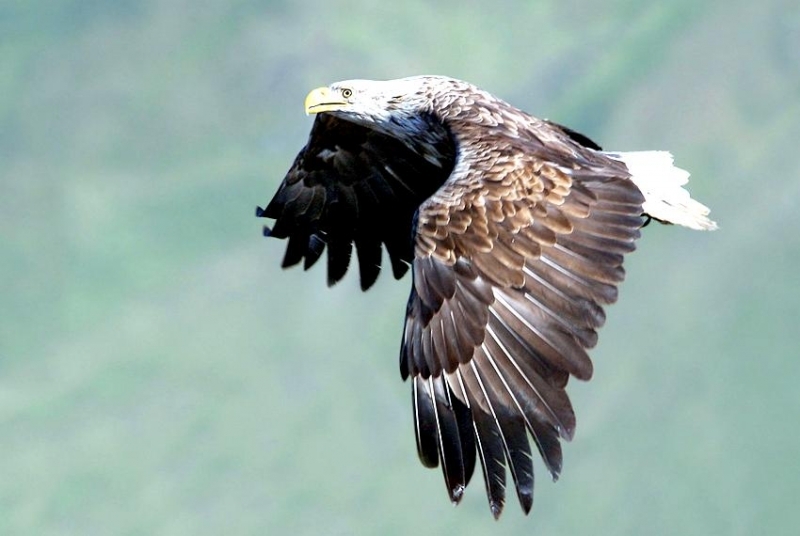 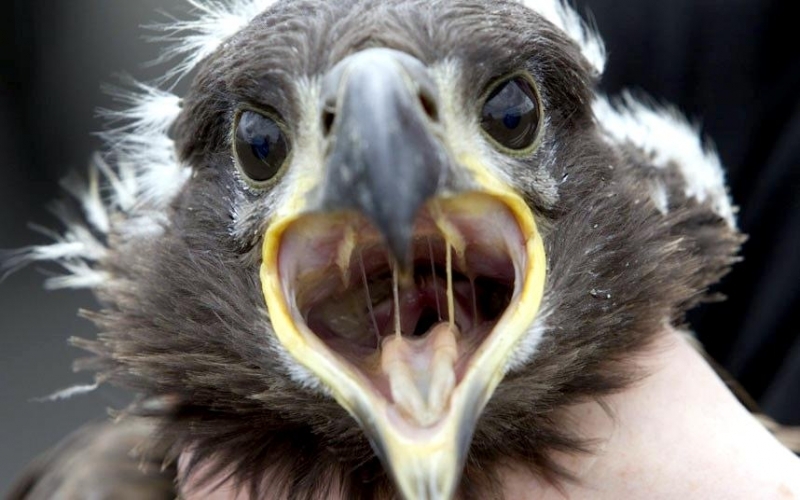 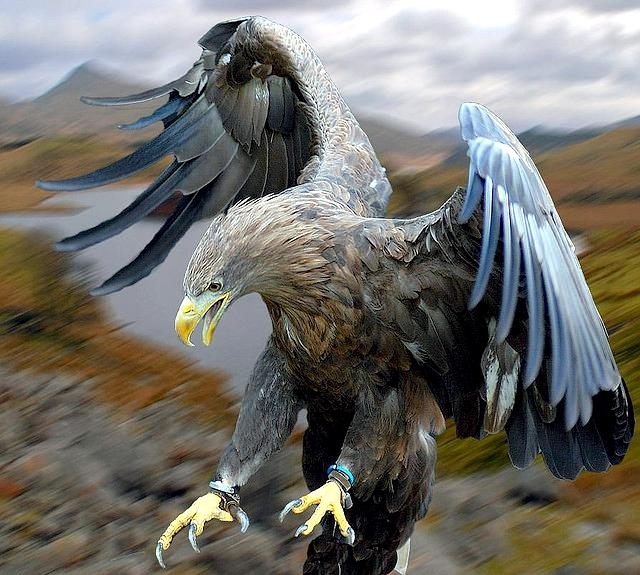 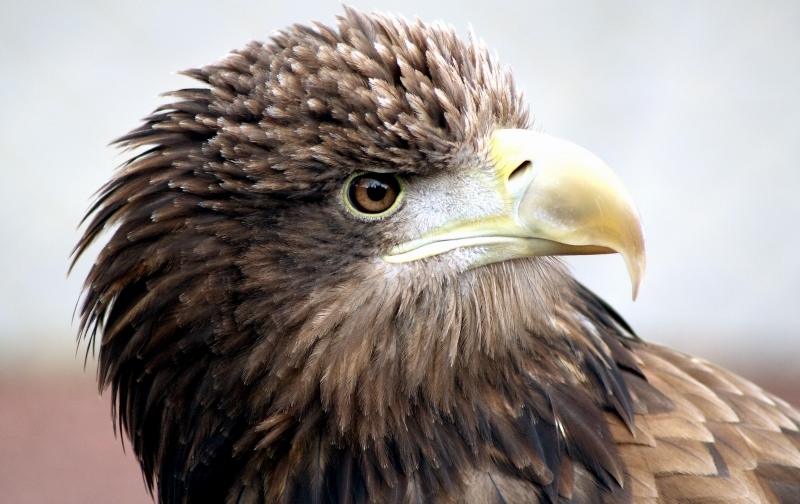 In adulthood, the White-tailed Sea Eagle has no natural predators and is considered an apex predator. 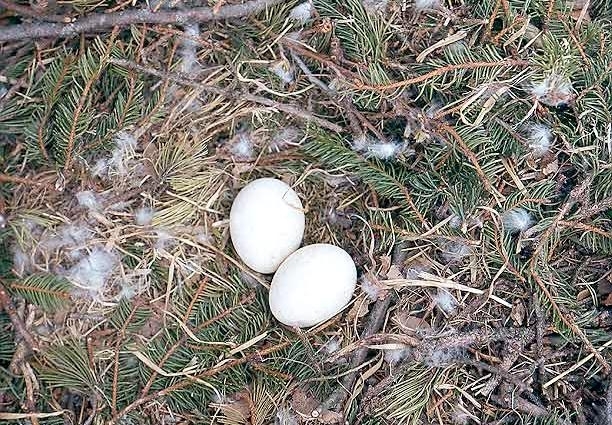 Mated pairs produce 1 to 3 eggs per year. 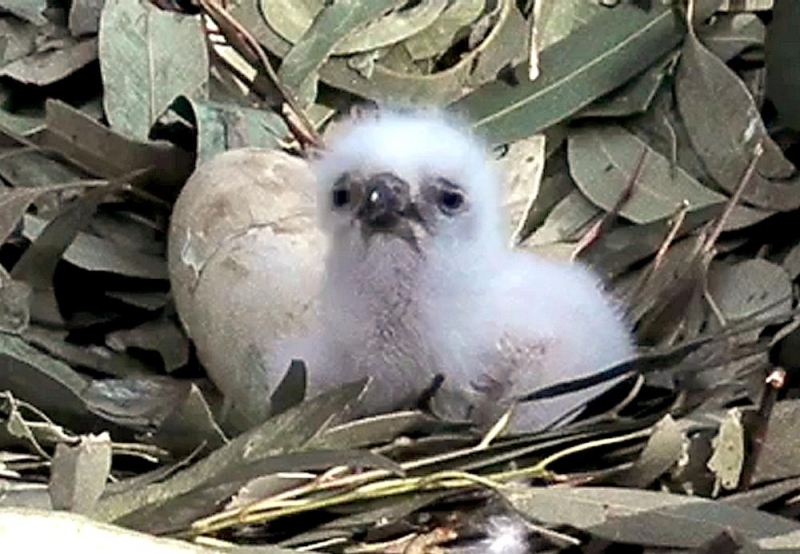 The eggs are laid 2 to 5 days apart in March or April and are incubated for 38 days by both parents. 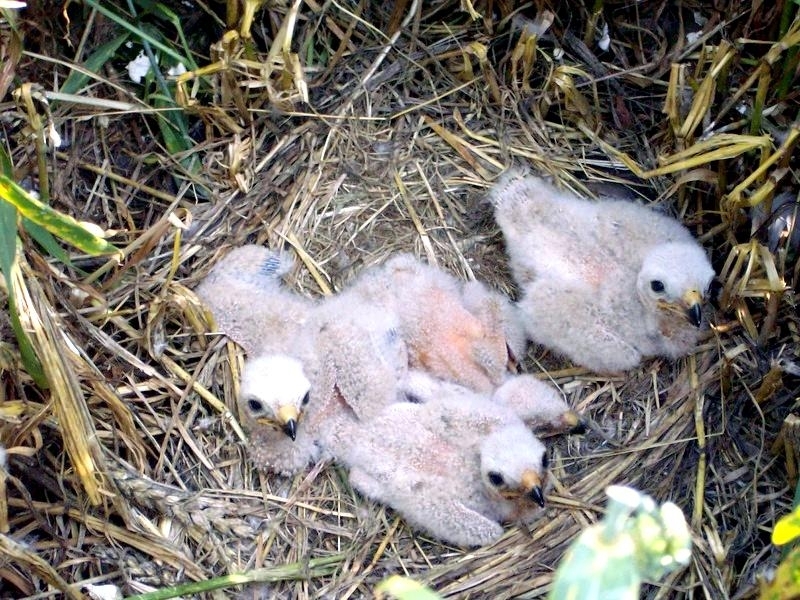 Once hatched, chicks are quite tolerant of one another, although the first hatched is often larger and dominant at feeding times. 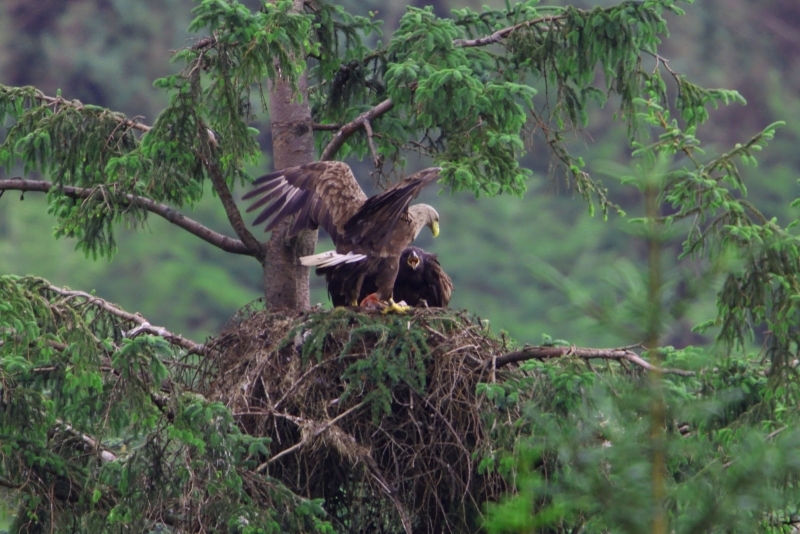 The female does most of the brooding and direct feeding, with the male taking over now and then. 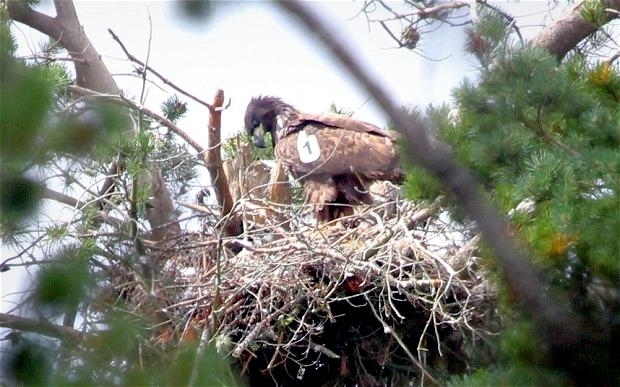 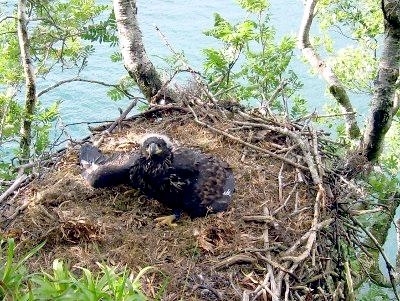 Young White-tailed Sea Eagles are able to feed themselves from 5 to 6 weeks and they fledge at 11 to 12 weeks, remaining in the vicinity of the nest, dependent on their parents for a further 6 to 10 weeks. 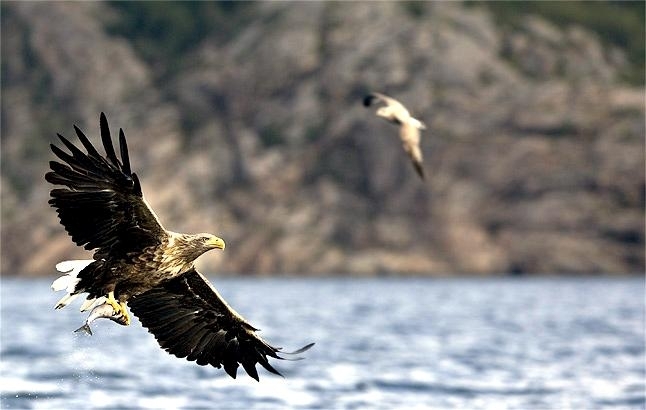 Compared to smaller and shorter-lived birds, White-tailed Sea Eagles have a low reproductive rate, which has contributed to the slow growth in the population. 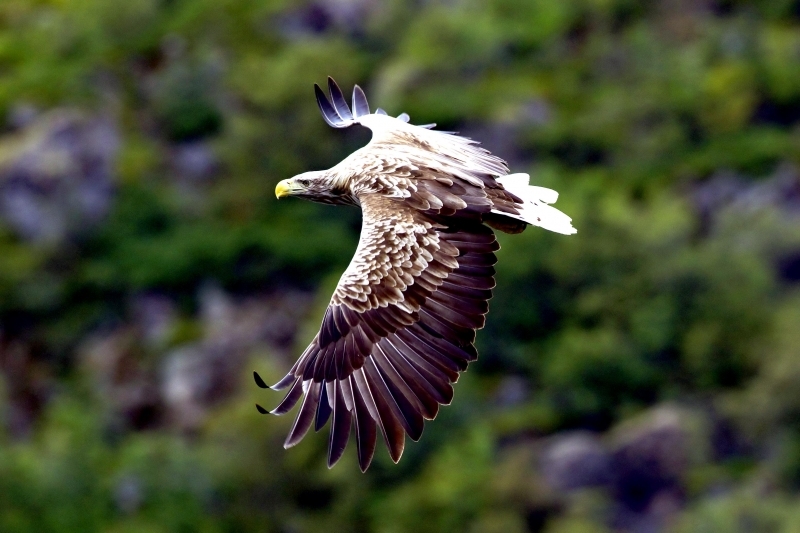 White-tailed Sea Eagles normally breed at 5-6 years of age. 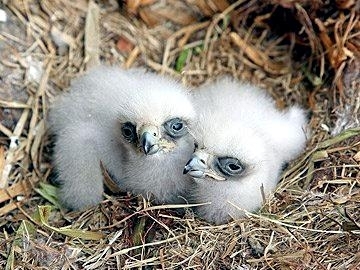 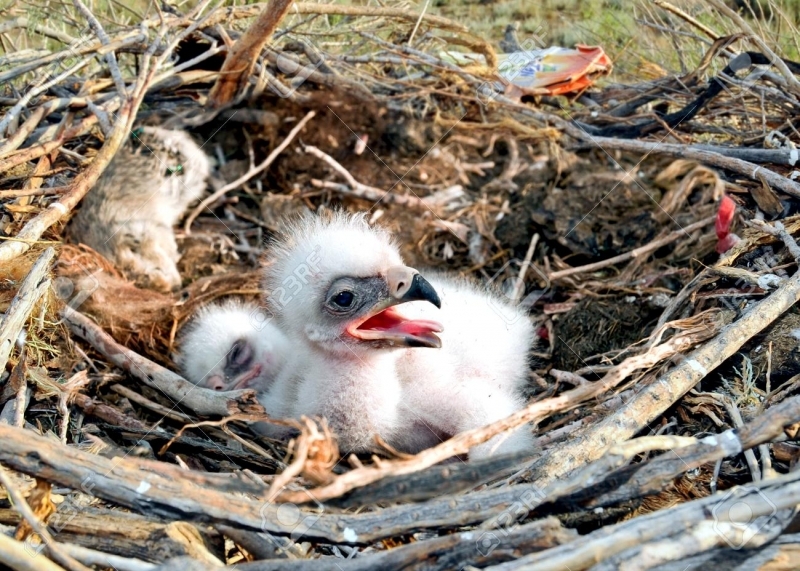 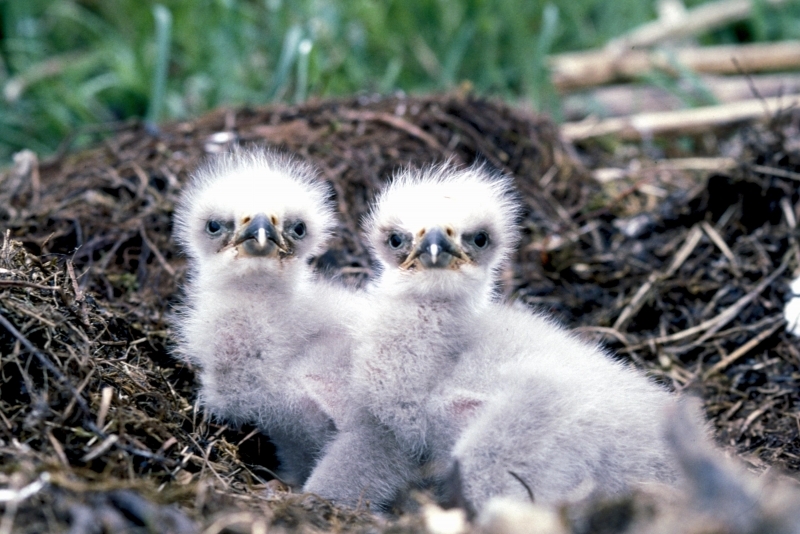 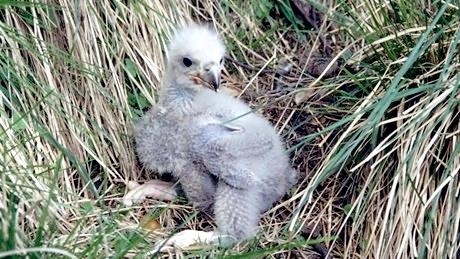 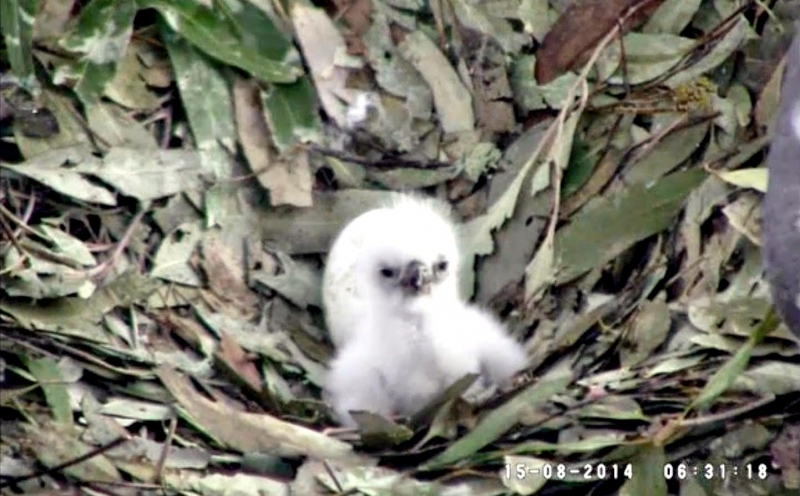 Young birds remain in the nest for 10-13 weeks before fledging. 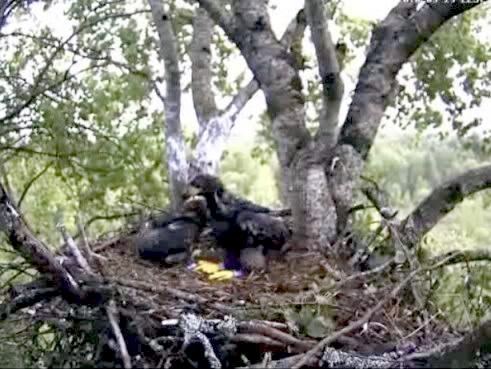 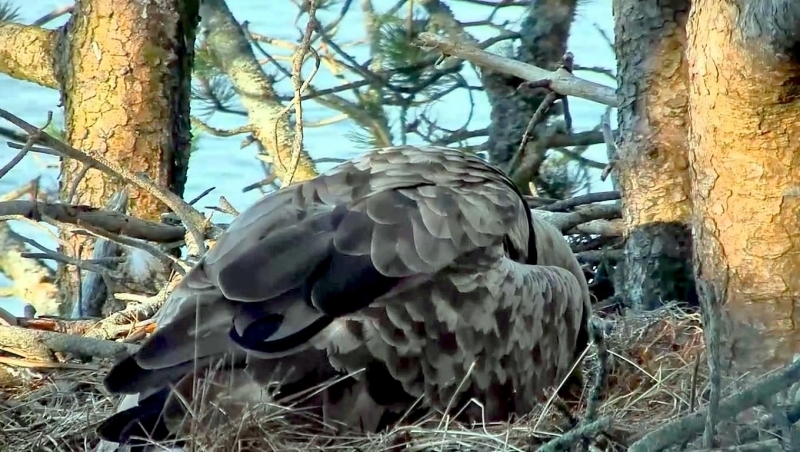 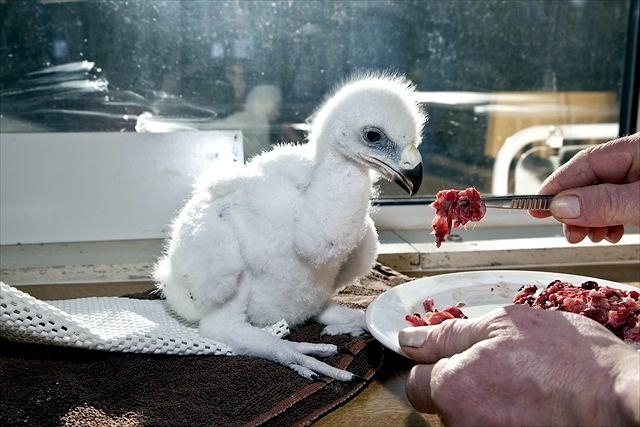 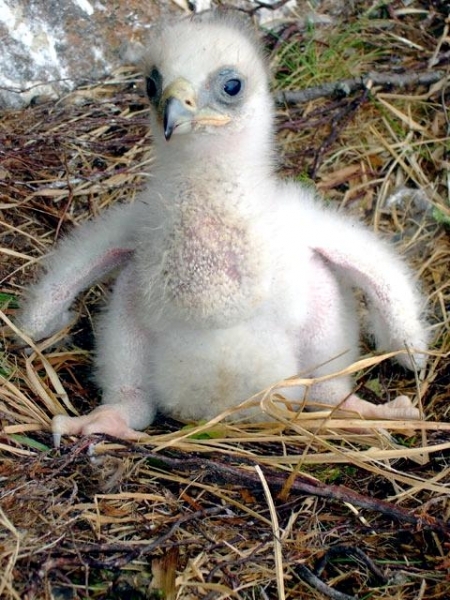 Although they are capable of taking care of themselves about 30 days after leaving the nest, they will continue to beg for food from the adults for several months. 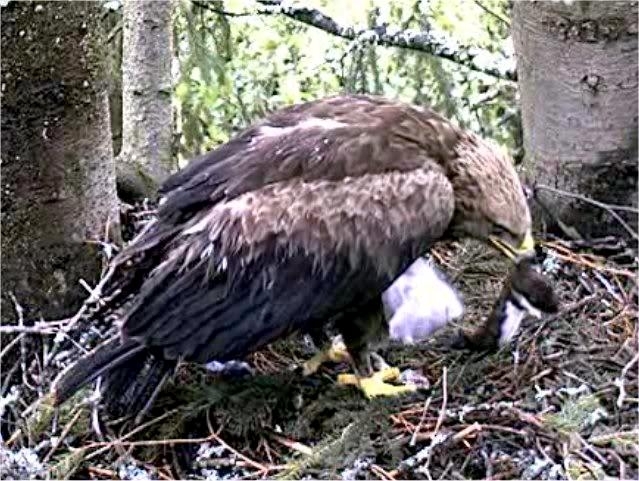 The young White-tailed Sea Eagle will then spend about 5 years in non-breeding areas, often in the company of other non-breeders. 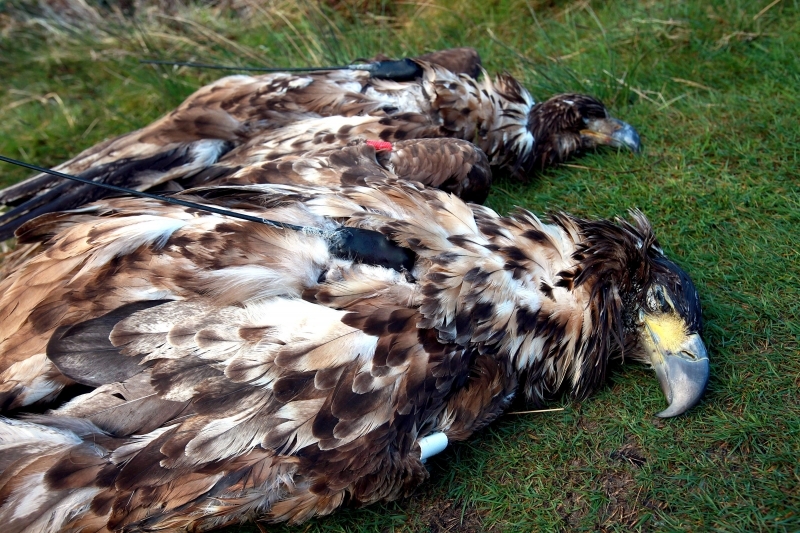 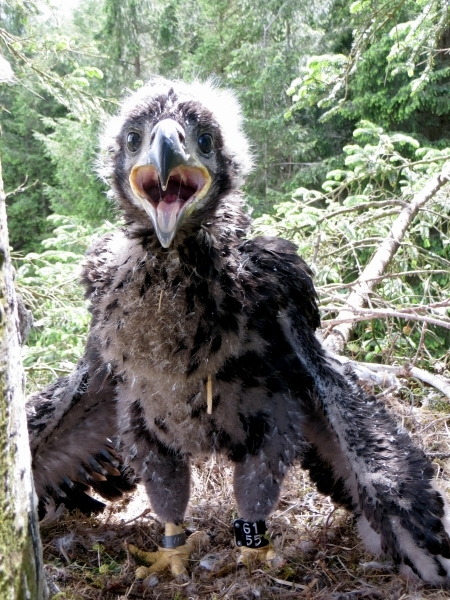 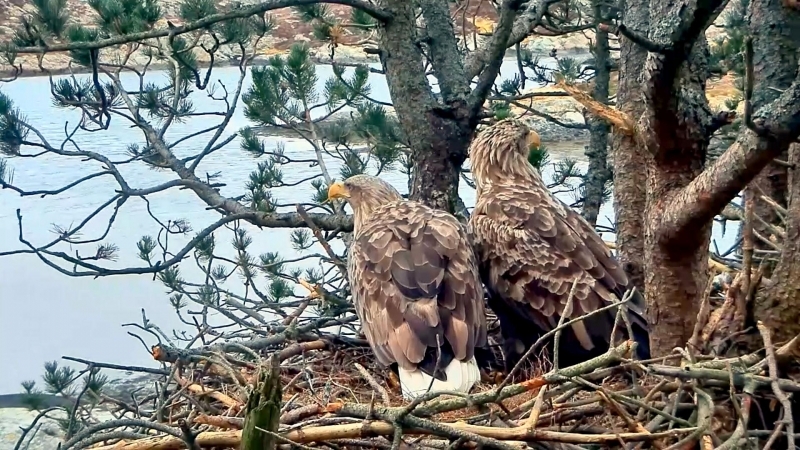 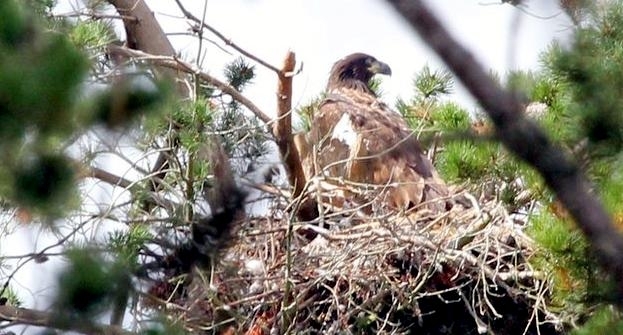 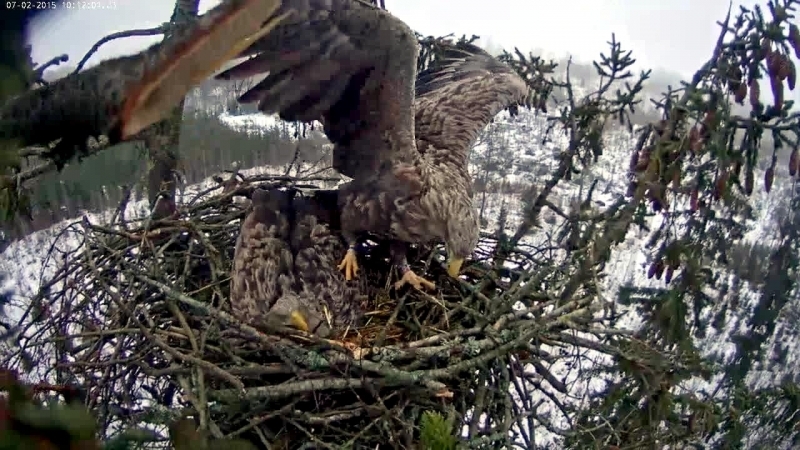 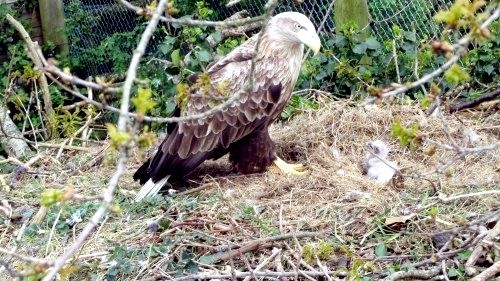 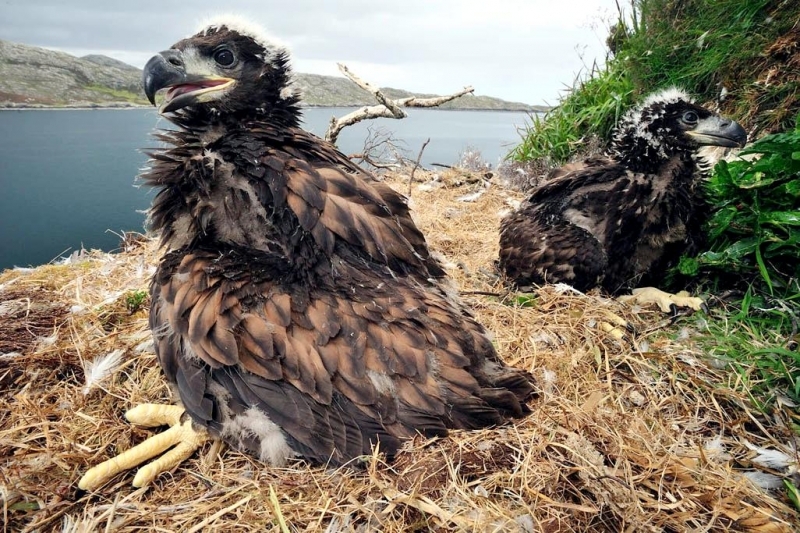 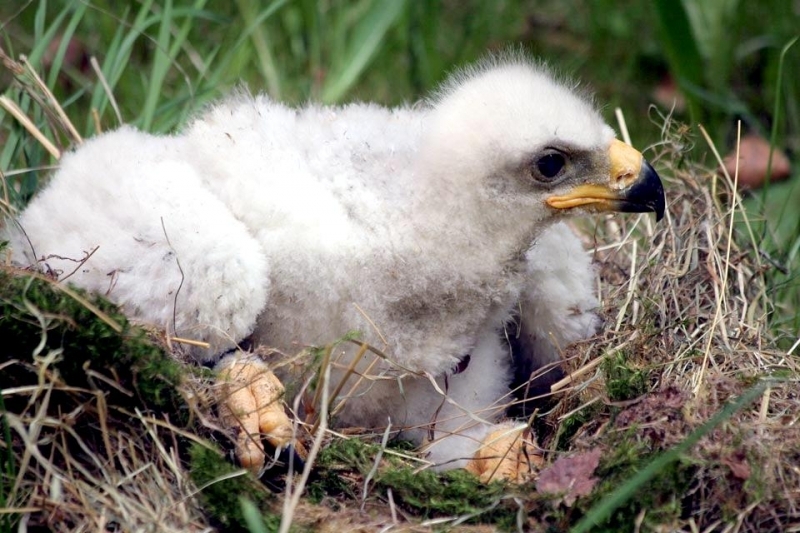 Up to 60%-70% of all young White-tailed Sea Eagles that leave the nests will not survive their first winter. 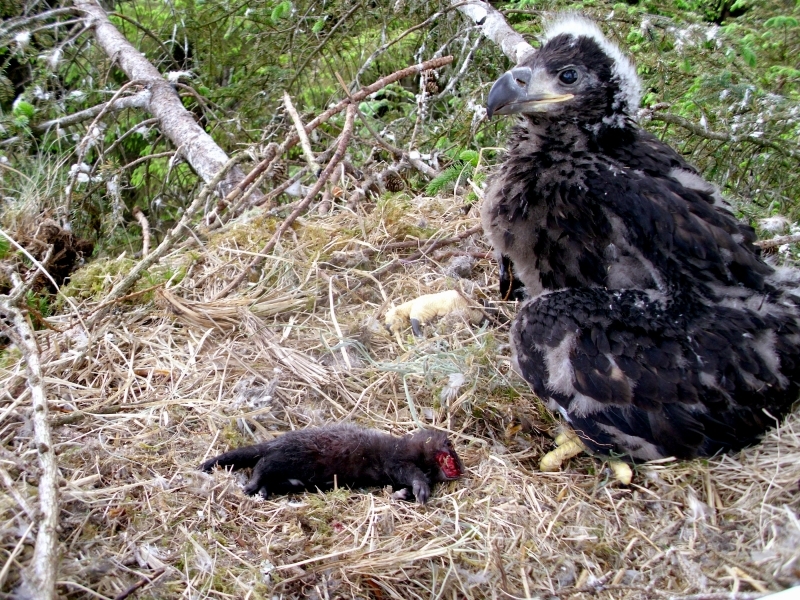 This figure is probably significantly lower for large raptors, but a young White-tailed Sea Eagle still faces a life or death struggle through its first winter. 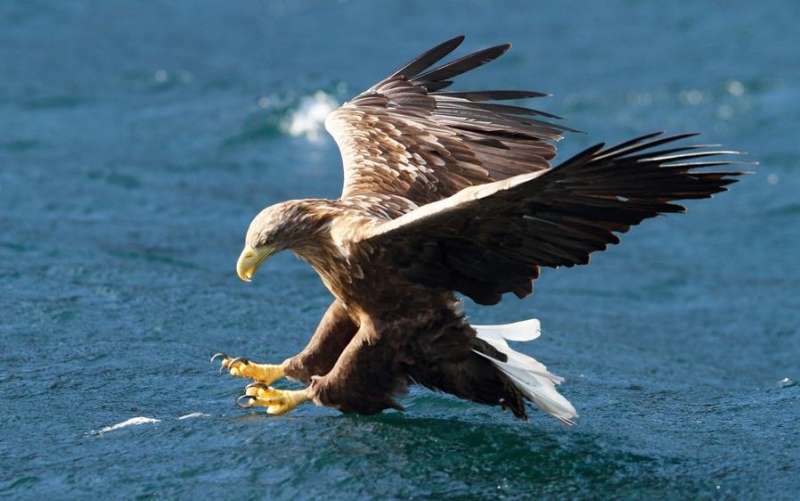 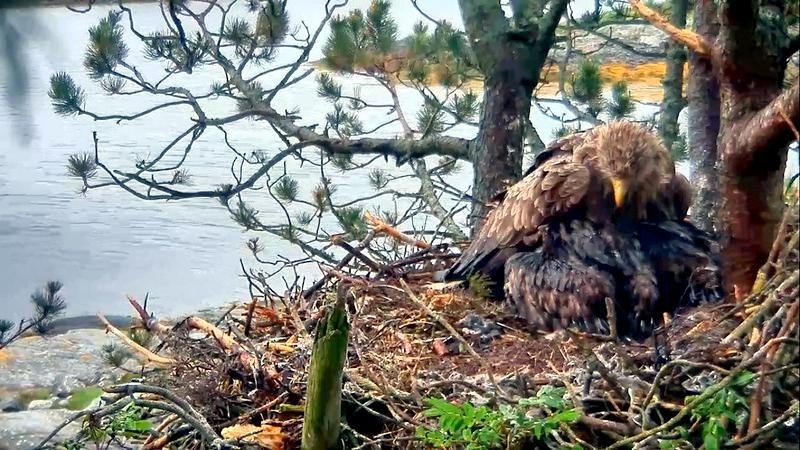 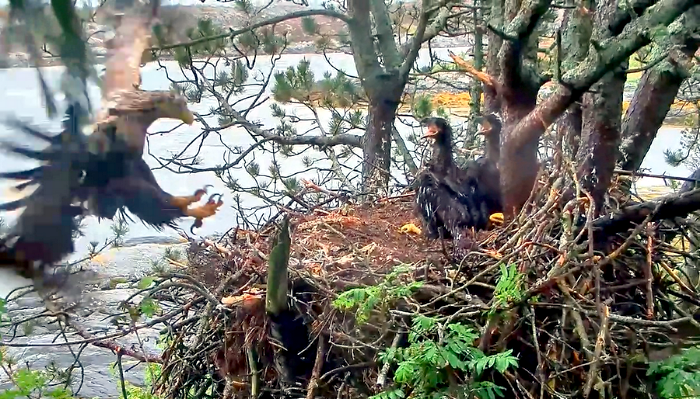 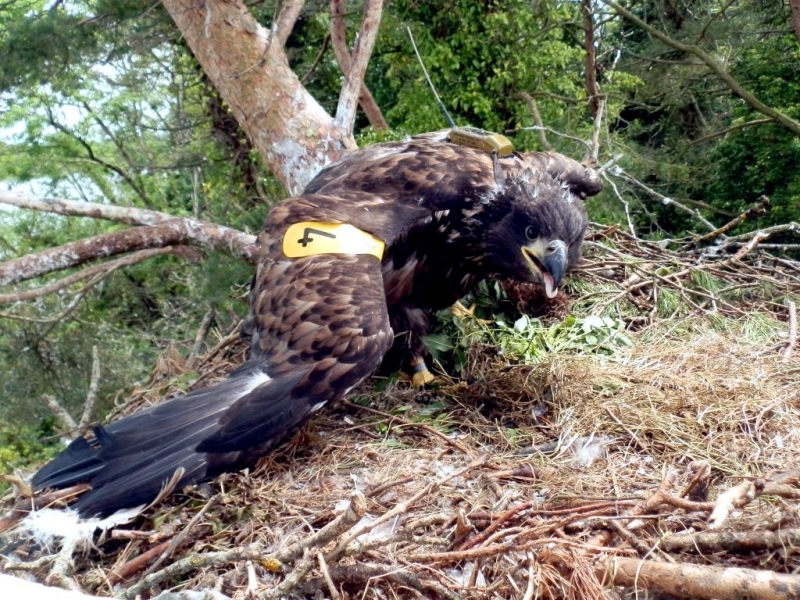 After surviving that first year, a young White-tailed Sea Eagle may well then live for more than 20 years.